From pitching his awesome idea on Shark Tank, to taking on several fitness challenges with his grandpa, it’s clear to see that Dr. Ken is a show that is full of excitement and tons of awe-inspiring episodes, and there is no wonder as to why this show holds a special place in the hearts of viewers worldwide. Starring in the show is the magnificent actor, Albert Tsai, whose extraordinary acting talent always puts the biggest smile on everyone’s face. At such a young age, Albert Tsai has already accomplished so much. He can portray a variety of roles and do such a phenomenal job with each and every one that he takes on. We’re always left amazed with every project that the wonderful Albert Tsai works on. In addition to working on Dr. Ken, Albert Tsai is also a familiar face in many other renowned shows including Fresh Off The Boat, Trophy Wife, and many more. The remarkable Albert Tsai already has one incredibly impressive acting resume and we know that 2017 promises another successful and exceptional year for this spectacular actor! 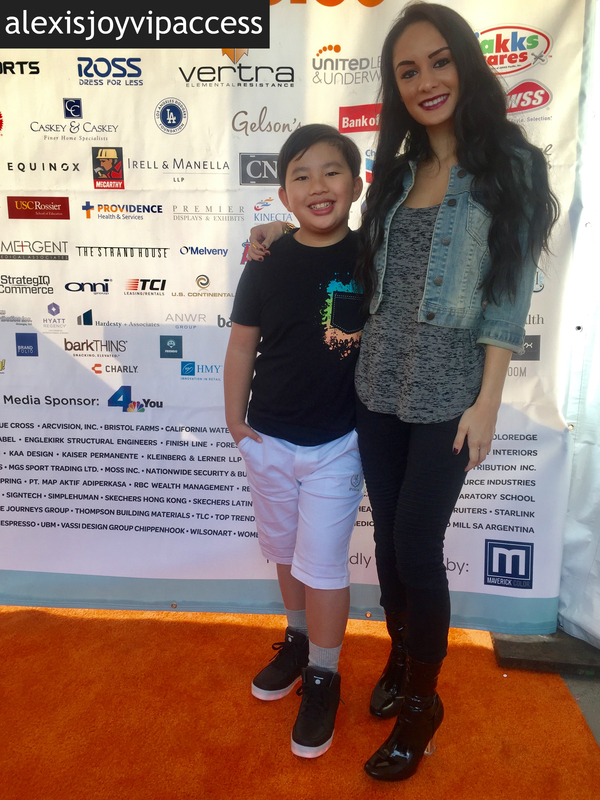 I, Alexisjoyvipaccess had a great time covering the Skechers Pier to Pier Walk and had a fantastic time catching up with and interviewing the outstanding Albert Tsai again at the event. Albert Tsai dished exclusively to Alexisjoyvipaccess about the one thing he would like to keep from the Dr. Ken set, his fun time working on the Shark Tank cross-over episode, and so much more only in our VIPAccessEXCLUSIVE updated interview. Albert Tsai even spilled on ways he gets up and gets active and he sends some advice to his fans on how they can do the same – hear what he had to say in our VIPAccessEXCLUSIVE updated interview below. Thanks for another fun interview, Albert! Check out my VIPAccessEXCLUSIVE updated interview with the excellent Albert Tsai at the Skechers Pier to Pier Walk below! Previous VIPAccessEXCLUSIVE: Jailen Bates Interview With Alexisjoyvipaccess At The Skechers Pier To Pier Walk! Next VIPAccessEXCLUSIVE: Matthew And Benjamin Royer Interview With Alexisjoyvipaccess At The Skechers Pier To Pier Walk!